As a part of a three-year campaign to educate, engage and empower, NPCA has developed local, regional and national partnerships to engage new and diverse audiences to by conducting Civic Voice Workshop Lessons with over 500 participants in working with 16 community partners. 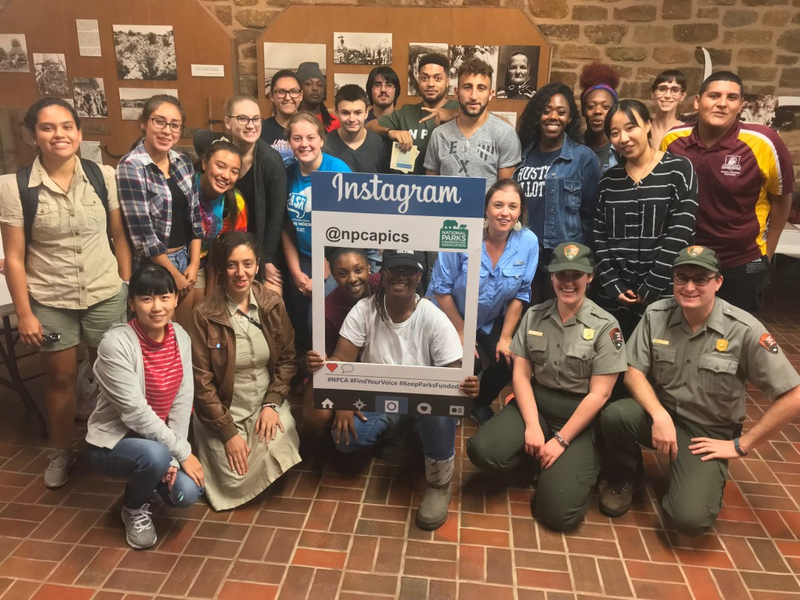 These future leaders actively educate their peers and advocate for national parks while developing a variety of skill sets that will serve them and their community in future endeavors. Lee Walker has established himself as the quintessential collaborator, some might say a collaborator magnet, and so our award for community collaboration is presented in his name. Lee served as the chair of the Westcave Board, and has been its primary benefactor, for more than 25 years. It was Lee’s skill at collaborative leadership that generated the funds to build our fabulous Warren Skaaren Environmental Learning Center and those same skills have guided Westcave in a new and expanded strategic direction.